The Cascade property has been enticing those seeking a bucolic escape since the 1920's. It was still the middle of the 19th century when the North Shore came onto the proverbial tourist radar, with wealthy socialites arriving in summers to hunt and fish on Lake Superior. 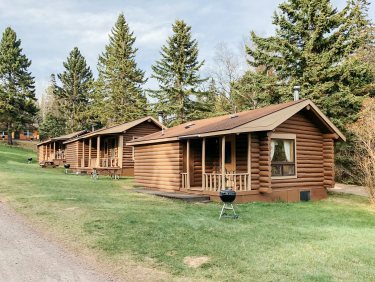 The lake's first commercial fishermen built cabins and resorts around the mouth of the Cascade River to house the well-to-do Duluthians on their weekend jaunts. A portion of the lakefront land was bought by a businessman named Edward Ogilvie in 1922, and Ogilvie opened the doors a few years later with the main Cascade Lodge and three adjacent log cabins. Though the original structure either burned or was torn down (reports vary) the lodge is still welcoming visitors today, ninety years after the first tourists sat on the front porch here, gazing out at Lake Superior. We like to picture them in full Gatsby-esque regalia, sipping sidecars and champagne cocktails, but perhaps we're letting artistic license take the reigns. Either way, we look forward to welcoming you with open arms to one of our cozy rooms or cabins, all of which are imbued with a wealth of history and every amenity for a memorable and comfortable stay. Most have lake or creek views, and all would make a lovely spot for an evening sidecar, even today. 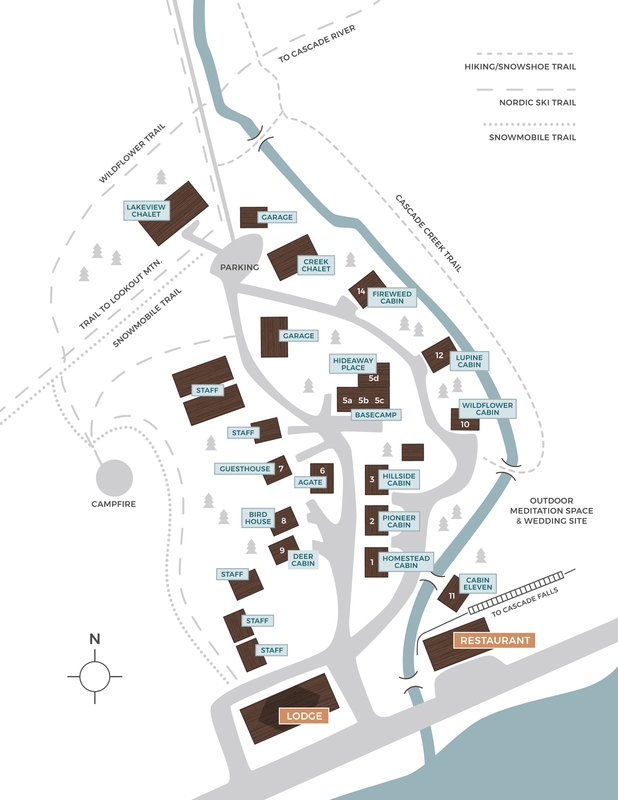 Cascade's picturesque location on the North Shore of Lake Superior also puts it in easy vicinity of Grand Marais, an artsy, bohemian village fifteen minutes east of the lodge. With a population of just 1200, Grand Marais is the embodiment of small-town charm and eclectic appeal; it's not hard to see why Budget Travel Magazine named it "America's Coolest Small Town". Sip a coffee at an al fresco cafe in the early morning before the town wakes and the only sounds are the swooping seagulls and the lapping of the lake. Watch as the colors of the sunrise on the water's surface fade to purest blue while rest of the world sleeps. Fueled by caffeine and introspection, you're ready to explore. With the majestic pines, firs, and spruces of the Superior National Forest just an hour north, it would be a pity to resist the tug of the great outdoors. Swimming, hiking, and fishing are just a few activities on offer throughout the warm weather months, while cross-country skiing, snowmobiling and ice fishing keep snow days from ever getting dull. Canoeing the seemingly endless sparkling waters of the million-acre Boundary Waters Canoe Area is a diversion not to be missed by outdoor enthusiasts. 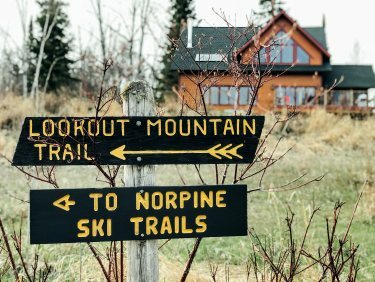 For the truly adventurous, the trailhead for the 310-mile Superior Hiking Trail (a popular "through-hike", akin to the better known Appalachian Trail) is just twenty minutes from the door of Cascade Lodge. For those who prefer their vacation with more resting and reclining than summiting and sweating, take the scenic one-hour drive south to the lovely Split Rock Light House and the calm waters of Pebble Beach in Lake County. The photogenic backdrop is as appealing to honeymooning couples as the original lantern room housing a 1000-watt bulb (and interaction with the gregarious onsite lighthouse keeper) is to families and especially young children. Bring a picnic lunch and alternate between sunbathing and skipping stones for the perfect lazy summer afternoon. Other mellow activities close to Cascade include wildflower-gathering of vibrant and numerous starflowers and daisies, watching tiger swallowtail butterflies in bright yellow and black relief against velvety evergreens, or just sipping a glass of wine or a local IPA while watching the waters of Lake Superior glimmer under the sun. Whatever encompasses the details of your ideal getaway, our lodge has something to offer to soothe your senses. Jessica’s mission is to keep the lodge clean and organized, and judging by our guest comment cards and feedback she excels at it. She is a spirited leader and always goes above and beyond to ensure our guests' comfort and her team’s happiness. Jessica has been closely involved with all Cascade Lodge updates, helping bring in new and reclaimed items that honor sense of place and the lodge’s longstanding history, whilst keeping modern guest comforts and amenities in mind. 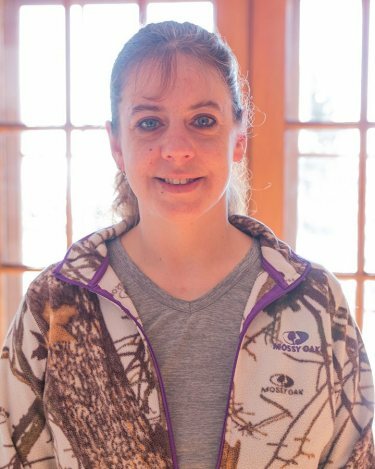 When Jessica is not leading her housekeeping team at the lodge, she spends time outdoors enjoying snowmobiling, fishing, and hunting. 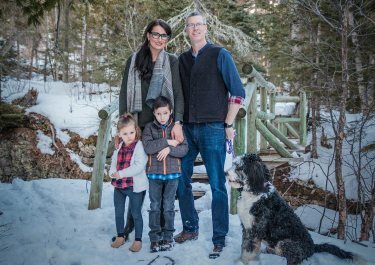 Jessica lives in Tofte with her fiancée Jeff, her daughter Kaylee, and her pets Loki, Kitty, and Puma. 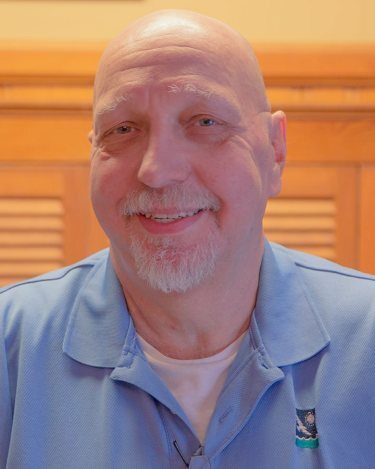 John has enjoyed a lengthy tenure at Cascade Lodge, and we are thrilled with his attention to detail in keeping the property running with clockwork efficiency. He is our operations and procedures expert, he likes checklists and manuals, and he makes sure everyone understands how following established steps always results in consistency and excellence. John is service driven and always strives to deliver an exceptional experience to all of our guests. Over many years John has connected with many of our Cascade Lodge regulars and it is always wonderful to see him welcoming old friends back for another visit at the Lodge. Before joining Cascade Lodge, John worked at Radisson Hotels in various positions of increased responsibility across different geographies and sizes of properties. John is an avid bass player and also does live music sound for different bands, venues, and sometimes festivals. He can often be found at local events playing great music with his band. Since the day we met and began our life together in Alaska, we shared ideas and dreams about owning our own lodge, a place where we could interpret guests' travel experience in an inviting, authentic, and natural way. Owning our own lodge sometimes felt like a dream that might never come true, and sometimes it felt like a goal with a realistic timeline, but once the time was right we were ready to hang our corporate suits and head into our new adventure. Both well-versed hospitality veterans, we looked for a special place where we could offer bespoke hospitality in an iconic location. We were certain we wanted to be closer to family, which narrowed our search to the Midwest region given that Thom is originally from Iowa and I, Jelena, was raised in Croatia. It didn’t take much time to learn that Northern Minnesota offered everything we sought: a great tourism business and an outdoor lifestyle suited to our family needs. In Cascade Lodge, we not only found the iconic North Shore Lake Superior location but also a place with renowned history and exceptional reputation, a true landmark. 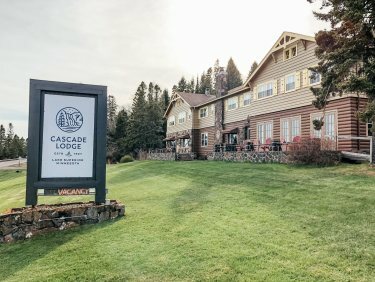 We purchased Cascade Lodge in 2017 and immediately got to work returning the lodge and restaurant to its more authentic expression. It is a labor of love and our own never-ending home improvement show. We not only share endless love for consummate hospitality, but also for flannel shirts, travel, outdoor activities, RV road trips, and great food and wine with friends. We live on the property with our two children and our dog Chase, and we are always happy to connect with our guests and share stories.